Hello world! Been a while since I've popped by here, thought I'd update since I actually rode a bit this time around the sun. A few life updates: been in Vancouver for a couple years, hopefully back to Victoria in 2017! I've been working for www.VeganSupply.ca for the last year and half, pretty awesome gig, I run the website, do customer service, and a million other things. I didn't ride much for the latter half of 2014 or 2015, it's odd to admit, but I'm totally spoiled from living in Victoria. I was in Fairfield, literally a stone's throw from the 'Waterfront' by the Ross Bay Cemetery, and if I wanted to ride 30mins or 6hrs, I was immediately on a damn fine road, and had little to dissuade me. Vancouver is a whole other beast. I'm pretty central (near Knight & 37th), and while I commend the bike routes and the excellent routing as a cycle commuter, as someone who wants to ride steady and (relatively) hard for a few hours without interruption, it's freaking hard. It's a 10-20min 'commute' to get anywhere remotely low-disruption (stop lights & stop signs more than 300m apart), and even then you're still dealing with a lot of traffic, and limited options. I know if I'd come from somewhere else, I'd probably be grateful for the opportunities, but I just can't find my cycling groove here. On the road, or CX (Pacific Spirit Park is nice, but nothing like Royal Roads or even the Goose), or even offroad (rode out around Seymour a few times, very heavy free-ride orientation, and XC riding is a struggle..) I've been unable to find anything like the Dump or Tzu. Just some nice technical XC riding. I did make it up Cypress once this year at least! hahah..just a little change from 2013. 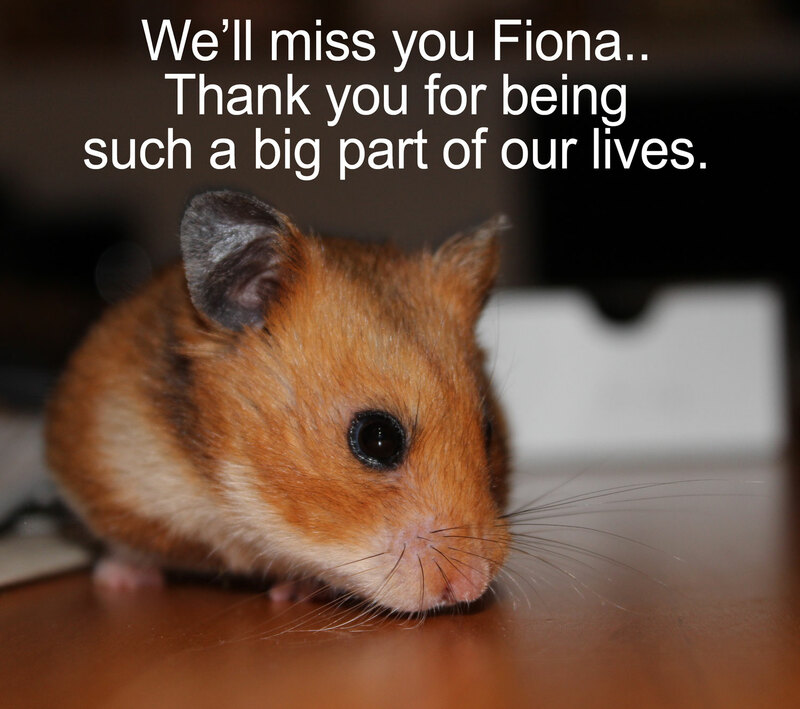 One other highlight for me was adopting Fiona the hamster, she was a rescue (thank you Small Animal Rescue of BC) and brightened my life every night for nearly two years. We got her in January 2014, we don't know how old she was, at least 6mos tho. She was pretty unsocialized, was terrified of being touched, and disinterested in us humans. But after a few months, she started to warm up to us, and her amazing personality started to come out. She was endlessly curious, and every night she'd get to romp around the bedroom (we'd block the doorway), and zip around, her feet making a little pitter-patter as she'd scout every corner and nook and cranny to see what was going on. She was actually quite the athlete too! I realized I could hook a bike computer up to her wheel, and so started tracking her running - I eventually even set up a Strava account for her! She passed away Dec 4th from old age...it was really hard seeing her decline, knowing how active she was. I can't express how much I miss that little fuzzy monkey. I also need to add one comment about pet hamsters: don't ever buy one from a store. Don't get a hamster for children either. It's a horrible misconception that 'hamsters are good starter pets', or that they're appropriate pets for children. Other than the fact they can fit in the hands of a kid, there is no aspect of hamster life that suits a child. If you can make the time and space to care for a hamster, please find a local rescue (sadly, SPCAs often don't take them in either) and adopt one (they are solitary so never keep more than one in an enclosure, but the pet rescue will tell you this). You must ensure they have a reliable running wheel - they are very active animals, even more-so than dogs. (How many dogs will run upwards of 8hrs in a day?? Her average was 2-3hrs.) Build them a large enclosure (and be careful, they're very clever!! We found out ours was inadequate when I woke up one night to scratching noises on the floor, and when I turned on the light Fiefer was sitting on the laundry basket!!) After careful observation her 'compound' was secured.. Send me a note privately if you need any tips on this. We used a 2' x 4' base, with 1" posts and 'chicken' wire, and 8" of duct tape lining the top to prevent her from climbing out. I think this is a record for Fiona!! 8.49km - wow!! I think she's training for a marathon..haha.. Guess how long this took her? ;) I hooked up a bike computer to her wheel, and have been tracking her for most of the year...would be funny to set up a Strava account for her! These wonderful little beings are so often neglected, but have very specific needs, and if allowed to thrive can really show off how unique they really are. I didn't expect this when we adopted her, I expected her to be pretty one-dimensional, but Fiefer totally obliterated that stereotype. I can talk for hours about all her neat personality traits, and all the things she would do. Just look how long this is already, and I've hardly said anything!! Anyway, I wanted to make sure that this message got out about hamsters, and hope fewer of them live as prisoners to children. So back to riding.. December has been pretty sucky in Vancouver as well, it started snowing on December 5th (the day after Fiona left us, oddly), and we're getting another snowfall warning today on Dec 31st. There's been snow on the ground for nearly all of Dec, that's got to be some kind of record..? This is one area that Vancouver has really disappointed - while some of the lower bike routes like 10th and Ontario are clear, the ones near me (Ridgeway, Dumfries) have been ice sheets nearly the entire time, making commuting by bike a real challenge. If trying to bike around Vancouver, your best bet when hitting icy roads is to pop over to the sidewalk for those particularly bad stretches.